Despite over a quarter of the regular season remaining, the San Jose Sharks have accomplished almost everything they need to in the regular season. The Sharks have collected 77 points in 60 games. They are the only team in the Pacific Division on track to reach 100 points. At least one wild card playoff spot may go to a team that finishes with under 90 points. With that pace, the Sharks are in the playoffs. They sit atop the Pacific Division, with a small gap between themselves and two other teams, the Edmonton Oilers and Anaheim Ducks. There is a substantial gap between teams battling it out for fourth place in the division and the wild card spots. There are plenty of teams the Sharks could play in the opening round of the playoffs. It is a safe bet the Sharks finish in the top three in the Pacific. However, there is no clear-cut spot inside the top three that insures the Sharks a more favorable first round matchup. Under some reasonable scenarios, the toughest matchup for San Jose could happen if the team finishes first in the division. None of the Sharks’ potential Round 1 opponents portend an easy series or an obviously better matchup. Data from the past several seasons suggests “advantages” like home ice don’t really exist and a team’s seed in playoffs is essentially irrelevant to their chances of winning the Stanley Cup. The average regular season point total for a Stanley Cup champion over the past eight seasons (prorating the shortened season) is 104 points. The Sharks are on pace for 105. 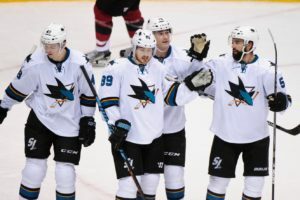 Given these realities, the Sharks have every reason to focus on the things that best prepare them for the playoffs, regardless of their final seeding. A constant question about the Sharks is: How will the long season in 2015-16, the shortened offseason, the World Cup of Hockey and the compressed schedule impact a team among the league’s oldest and most traveled? The Sharks have plenty of banners for winning divisions, but not one for a Stanley Cup. Regular season successes has been plentiful over the years, but it is not where this team needs to excel. Aside from qualifying for the postseason, the most important aspect of the regular season is as a building block for the postseason. 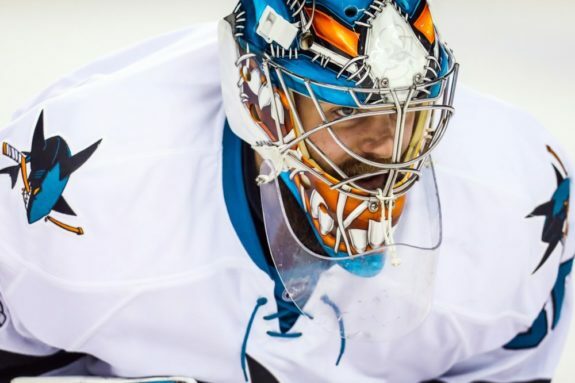 Overcoming the season’s wear and tear is one of the Sharks’ greatest playoff challenges. 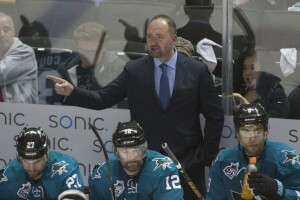 Come the playoffs, the Sharks must be able to stomp on the accelerator to handle the increased intensity. Some statistics are cause for concern. The Sharks have six players who will be 32 years old or older at the start of the playoffs. Four of these players will be 36 or older (an interesting chart on age and ice time is linked here). Every player in this group is on track to play at least 80 games, four are on track to play all 82. All six players set career highs for meaningful games played in the 2015-16 season. 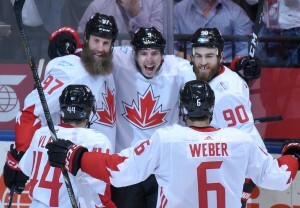 Four of the six played in the World Cup of Hockey. Players like Joe Thornton and Marc-Edouard Vlasic must excel for the Sharks to go deep into the postseason. Neither has been as good as they were last season. Thornton continues to play big minutes, though his effectiveness has diminished. The power play, led by Thorton, was among the league’s best last season but has been dreadful this one. Thornton has fallen off in several areas, including points, goals and plus-minus. Meanwhile, Vlasic, considered by some to be the league’s best two-way defenseman entering the season, has taken a beating. This includes nasty facial injuries incurred when an opponent’s slap shot took an unfortunate ricochet and landed underneath his visor. For the month of February, Vlasic is a highly uncharacteristic minus-5. 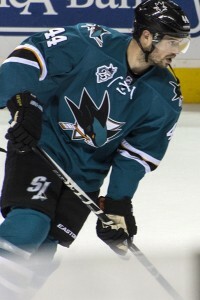 Many credit Vlasic as the key to San Jose’s playoff run last season, where he slowed or shut down several of hockey’s best offensive players and finished plus-14 in 24 games. Goalie Martin Jones was by far the most used goalie in the NHL last season, his 90 games played was the most by any goalie in over a decade. This season, he is again among the most played. Only Edmonton’s Cam Talbot has played more. Jones entered February having given up four or more goals just twice all season. This has happened twice more in Jones’ seven starts in February. In a third start, Jones gave up three goals in the opening period and was pulled from the game before he could give up any more. What does this mean for the Sharks? It is simple. Play the younger and less experienced players while taking away time from the older players. Importantly, the younger players have earned the chance to play bigger roles. Players with zero playoff experience include Kevin Labanc, Ryan Carpenter, Timo Meier, Marcus Sorenson, Dylan DeMelo and Aaron Dell. The five skaters in this group are a combined plus-13. The goalie in the group, Dell, has a sparkling .934 save percentage. There is every reason for the Sharks to lean on these players in the closing 22 games. Couple this with added time for younger veterans, including Chris Tierney, Melker Karlsson, Mikkel Boedker and Tomas Hertl. As DeMelo and Joonas Donskoi return to health (expected soon), they can also play more games and increased minutes. This allows players including Thornton, Joe Pavelski, Vlasic and Paul Martin to player fewer minutes and perhaps even take some games off. There is plenty of benefit for coach Peter DeBoer to see what these younger players do with more ice time, especially when they spend time on the ice against other teams’ better players. Less sheltered minutes for the younger players will help their development and prepare them for the playoffs. When the time comes for deciding who plays in the playoffs, issues like player health and line chemistry will loom, while issues like fighting and player development will be downplayed. Maximizing player development now is the value-added approach. The lone exception is Brent Burns. Burns is a serious candidate, perhaps even the frontrunner, for the Hart Trophy as the league’s most valuable player. This award has only gone to a defenseman once in the last 40 years. 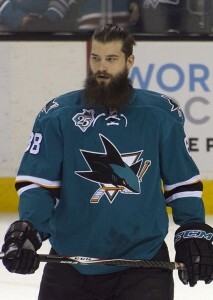 Burns could also win the Art Ross Trophy as the league’s top scorer. Though the team comes first, the Sharks should allow Burns the best opportunity to win these awards. The main point is clear: The Sharks can mitigate important downside risks and create upside opportunities by favoring their younger players over their more established veterans for most of the remaining regular season. It is time to prepare for the playoffs. The Sharks will need to put the pedal to the metal entering the playoffs. With the postseason over six weeks away, the Sharks are best served by taking their foot off the accelerator until then. When the Sharks’ top power play unit takes the ice, the total career goals is an impressive 1510. Patrick Marleau just topped 500 career goals. Joe Thornton is (very slowly) creeping up on 400, Joe Pavelski is closing in on 300. Both will likely reach these milestones next season. Brent Burns and Logan Couture will each have a reasonable chance to reach the 200 mark next season. Burns now has 20 even-strength goals. He is the first defenseman in over two decades to reach this figure (the nhl.com site indicates Burns reached this figure in 2013-14, but he played forward that season). Since the NHL started tracking even strength goals some 30 years ago, the top figure for a defenseman is 23, by Phil Housley in 1987-88. Vlasic has been plus-11 or better every full season he’s played since his second year in 2007-08. He is even so far in 2016-17, and as noted earlier, trending in the wrong direction.